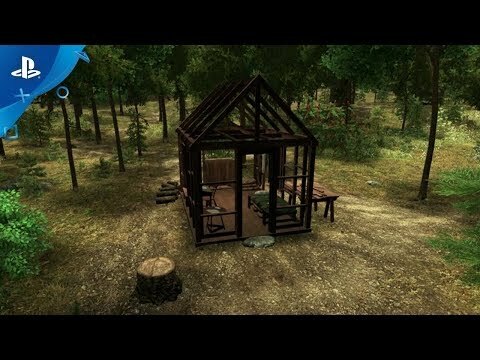 Take on Henry David Thoreau’s classic adventure in living simply in nature as you explore this epic open-world game based on the story of Thoreau’s life in the woods alone at Walden Pond. It is July 4, 1845, and you, playing as writer Henry Thoreau, have just begun your experiment in self-reliant living on the shores of Walden Pond. Can you balance your basic needs for survival against your search for beauty and the sublime? Will you live life “deliberately”? Or will you live a life of “quiet desperation”? Features a dynamic and changing natural environment filled with exquisite details, as well as a multi-faceted narrative following Thoreau’s quest for solitude and inspiration in the woods during a time of personal and social crises. ...went to the woods near Walden Pond to live as simply as he could, fending for himself in nature. As a player, you follow in Thoreau’s footsteps, building a cabin and living off the land and discovering its wonders. Along the way, you will also discover opportunities that draw you away from the woods, interacting with family, friends and colleagues who have their own ideas about how you should spend your time. It’s up to you how you live out your year in Walden Pond -- as a philosopher, a farmer, an activist, an aspiring writer, a good brother and friend, a surveyor or more. The possibilities of how your story of Thoreau’s experiment will play out are vast in this rich, open-world narrative. Find ways to survive eight in-game seasons of play -- from early summer through the fall, and deep winter, and finally spring. Each season holds its own challenges and possibilities for living off the land. Decide how best to spend your time -- answering the requests of family, friends and others, or defining your own agenda in the woods. Follow the narrative of Thoreau’s path to the woods and better understand his reasons for seeking out a life of solitude and reflection. Write your own version of Walden, built from your interactions in the game and the choices you have made. Walden, a game software is © 2014-2018 Tracy Fullerton and the Walden Team. All Rights Reserved.